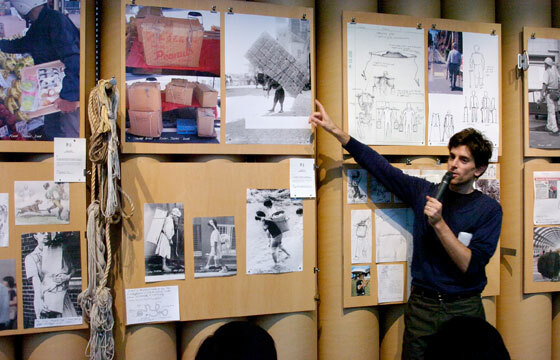 Mike Abelson presides over “POSTALCO,” which is engaged in design and production of stationery and bags. 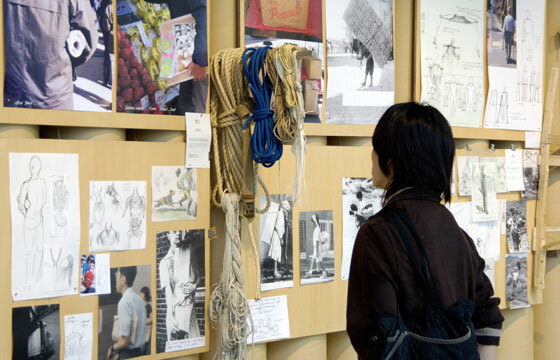 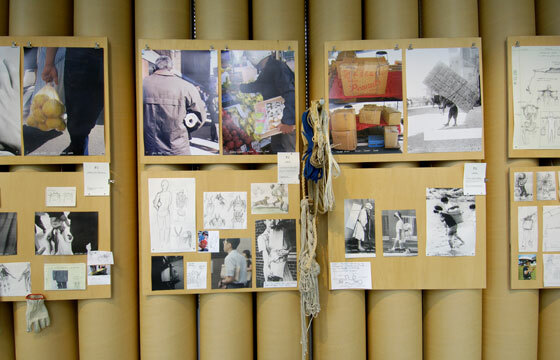 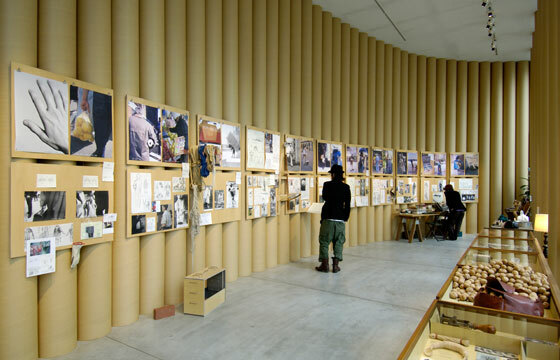 Journalist Noriko Kawakami guest-curated this collection of photos, clippings, objects, and materials that provided an introduction to the massive breadth of research and design approach taken by Abelson based on the theme of “Carrying,” alongside the process of actual product creation. 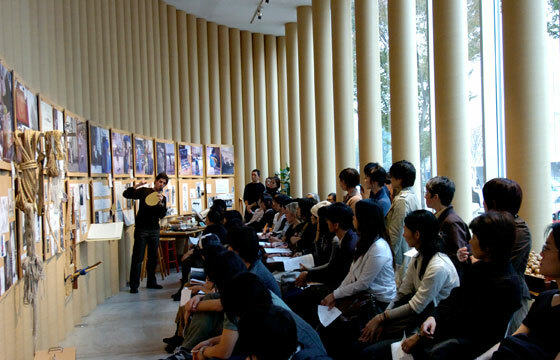 This was an interactive event that enabled visitors to try out a huge array of handles, and Abelson also held talk sessions throughout the exhibition.